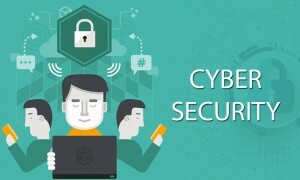 The cyber security is always evolving and you, as a business or as a consumer, need to be ready to adapt to the new technologies, regulations and strategies that will help to develop a safer and more secure internet. The recent improvements of new ciphers and the implementations of HTTP2 and TLS 1.3 have made security more attractive for site owners than ever before. Besides security, it also brings performance, which has shown better search results, advertisements and sales revenues for enterprises. Browsers will push harder for security by warning users about un-encrypted content what will make users more security conscious. This will result in HTTPs connections becoming the de facto standard on the internet and un-encrypted (http) connections will start to disappear slowly. The global cost of cybercrime is predicted to reach £4.9 trillion annually by 2021 and new cybersecurity trends are emerging. To fight future threats, society must develop the next generation of cyber skills. But how do businesses identify weaknesses in their cyber security before they’re hacked? They hire ethical hackers. After all, to beat a hacker you need to think like one. Ethical hackers use the same tools and techniques as malicious hackers, including social engineering techniques to crack company defenses. If that requires dressing up as a pizza boy to infiltrate a secure server room, so be it. Scrutinizing systems to find vulnerabilities or sifting through data to find abnormalities after a breach takes time and effort. To speed things up, artificial intelligence is now being used to perform cybersecurity tasks, instead of error-prone and expensive humans. MIT is working on teaching its AI2 system how to stop cyberattacks. The AI, developed to review data from millions of lines of code every day, identifies potential threats using machine learning. AI2 relies on human input to respond to any threats identified, so whilst it cannot yet replace human analysts, this human-AI combination already correctly identifies 86 per cent of attacks. Widely used AI cyber-defense systems are an inevitability and by 2025, human input may not be needed. If AI cyber defense systems are widely adopted, we can expect to see a demand for professionals who can support these infinitely powerful machines as they scan tirelessly for vulnerabilities. The abundance of vulnerable businesses means more easy targets for hackers. In 2025, one AI hacking tool could do the dirty work of 100 hackers, continuously scanning thousands of networks for flaws to exploit. If society is unprepared for intelligent hacking programs, we’re in for serious trouble. The number of Internet of Things (IoT) devices is set to hit 15 billion by 2021, according to research. As businesses and consumers accelerate the adoption of internet-connected devices, we’re now on the verge of an IoT revolution. The benefits of IoT are massive and we’re only scratching the surface of its potential. From wearable healthcare devices that monitor vitals to intelligent heating systems, consumers and businesses are already reaping the benefits. This surge in connected devices has created an easy opportunity for cybercriminals, IoT security skills are seriously lacking and connected devices with poor cyber defenses are routinely hijacked. Whilst damaging to businesses, these attacks haven’t yet endangered human life. But it won’t be long. Automated vehicles are as hackable as your smartphone and connected cars could become a weapon for black-hat hackers soon. In the nearest future governments will be more concerned about their abilities to monitor the internet to ‘fight against terrorism’, these concerns will lead them to create new legislation which will have impact on our privacy but more importantly, it will be impossible to guarantee that only a government has access to your data or that the data hasn’t been modified. From increased regulation to an appetite for IoT, the future of cybersecurity doesn’t seem all that far away. Consumers will become more demanding about their data and businesses will have to react, making their lives easier, while trying to keep the data that is important secure enough from the hackers.